Manali, Himachal Pradesh is the most visited and highly known place in India. It is known best for its weather and climate full of cold breeze and chilling environment with hills and mountains all around. Their are lots of sightseeing places to visit with the adventures like skiing, rafting and camp firing which gives people a kind of pleasure that no other place can. 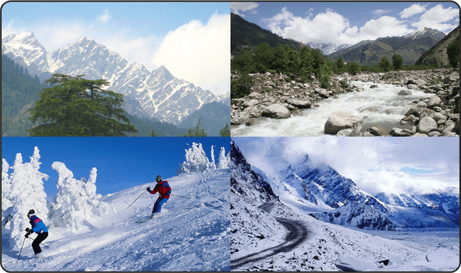 Manali is also known for one of the best Honeymoon place of India. 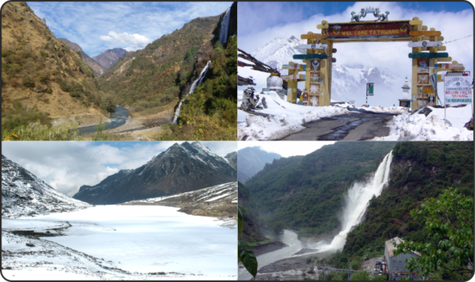 Tawang is a district of Arunachal Pradesh and there you can enjoy the location full of valleys and waterfalls with perfect temperature and atmosphere and Tawang is situated at 10000 ft. of height from ground level and most of the year this place is covered with snow. Jang waterfall is the biggest attraction for tourists. Dras is famous for Nubra Valley which have three arms and it’s near from the most popular place in India ‘Ladakh’ and even at the high end sights of ladakh Nubra Valley is situated. It is also a snow covered place with rivers and valleys and a great place for road trips and a perfect place for camp firing with adventurous friends. 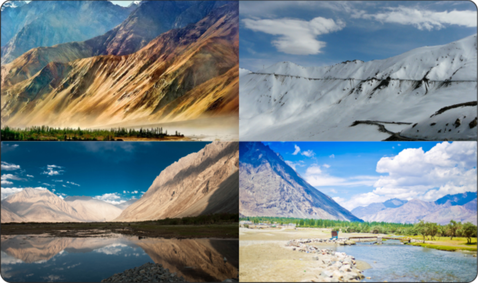 Nubra valley is not that famous by its name but it’s connected with Ladakh and gives the same adventure as the word ladakh gives. Lakshadweep is a tourist place since 1974 with two major islands and beautiful beaches all around and you can enjoy low temperature with beaches and also with camp firing at nights with a nice sound of crashing waves. 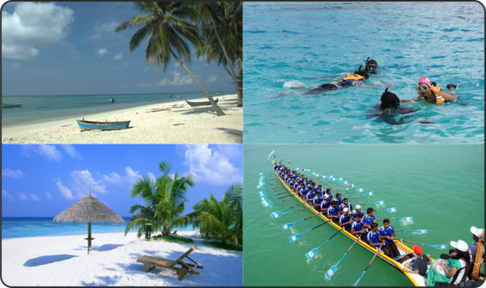 This place is also popular for watersports like scuba diving, wind surfing, snorkelling, surfing, kayaking, canoeing and some others. Ooty, one of the best and famous hill stations of India also famous for coffee plantation and lots of gardens and place full of greenery. Ooty also have beautiful mountains with stunning foggy view from mountains which caused by the clouds as the mountains’ top is equal to the clouds. 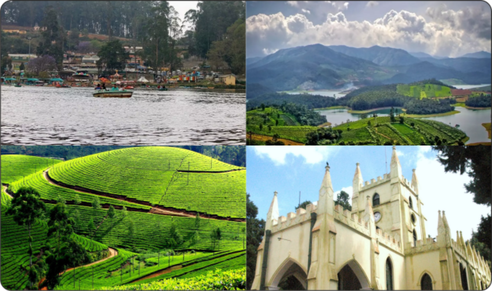 Ooty consists of gardens, lakes, dams, parks, reserve forests, tribal huts, museums, and lots of historical buildings.